1. Seeding colorful Bluebonnets for glorious spring patriotic color. See also information from Wildflowers in bloom. 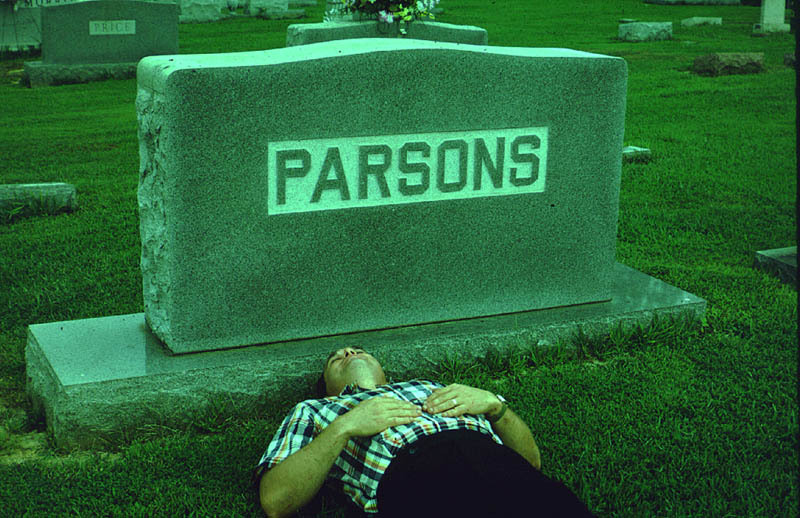 BY JERRY M. PARSONS, Ph.D. The bluebonnet is the state flower of Texas. 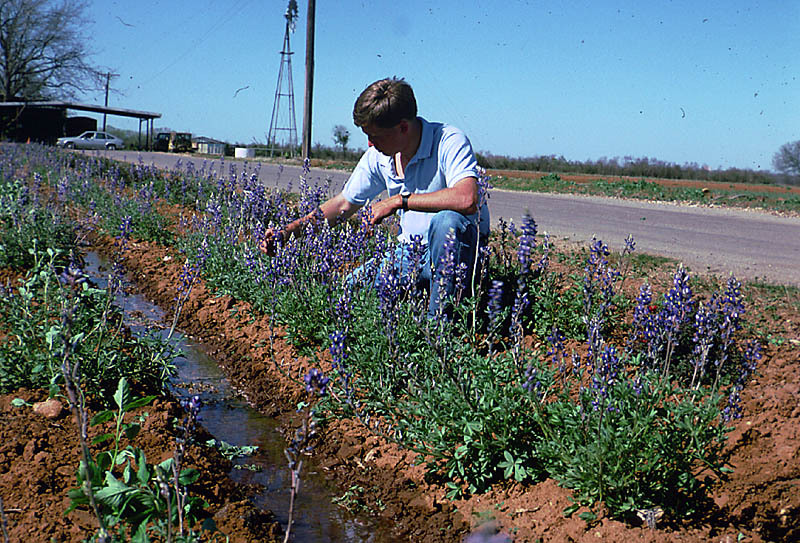 The Texas Cooperative Extension horticulturists in cooperation with local seed producers, bedding plant producers and vegetable farmers have domesticated the bluebonnet wild flower into a new multi-million dollar bedding plant. People often ask how did such a wonderful project begin and why hadn't someone done it before. 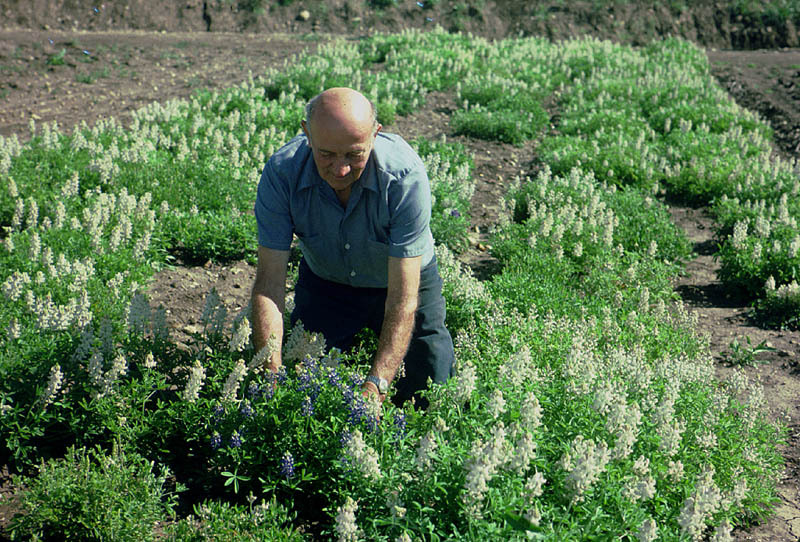 The origin of the entire bluebonnet domestication project can be summarized in one hundred words or less: "In 1982, a dying con artist and Texas naturalist named Carroll Abbott, Mr. Texas Bluebonnet, implanted in the mind of a naive horticulturist, me, a dream of planting the design of a state flag entirely composed of the state flower, bluebonnets, to celebrate the 1986 Texas' Sesquicentennial. This seemingly simple proposal and what has been involved to make it a reality have involved thousands of people, created a multi-million dollar agricultural industry, generated more positive publicity for Texas A&M than the football team (especially after their loss to UT! ), and is still producing products and wildflower knowledge with no apparent end in sight." The question of why hasn't someone done it before is intriguing. I think the answer involves organization, timing and unselfish determination. 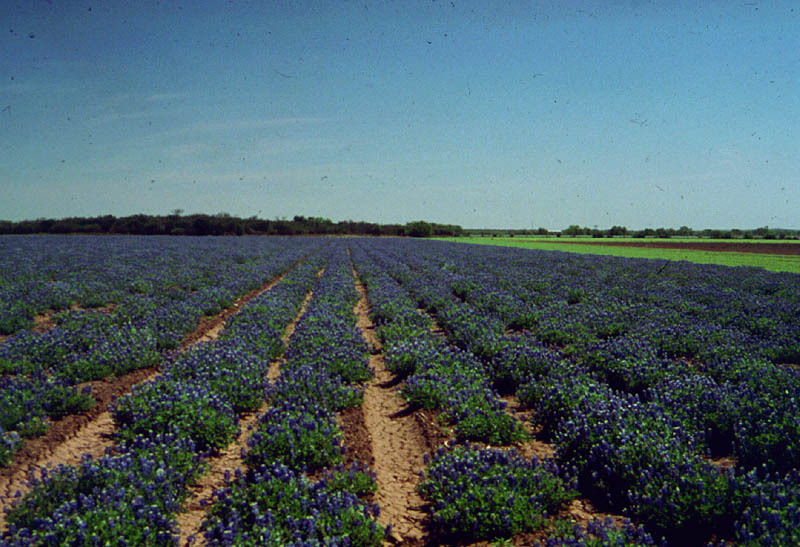 This bluebonnet color-ification project has been supported by institutes of higher learning, experienced seed production companies, the best agricultural producers in Southcentral Texas and numerous mass media. The synchronous efforts of all of these capable individuals and organizations can solve almost any problem. 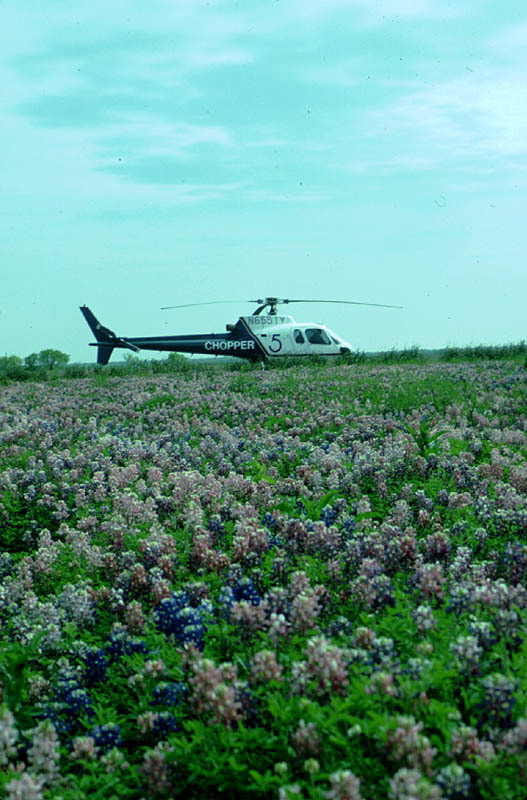 The timing was perfect--the public could relate to a patriotic effort of planting the design of a state flag entirely composed of the state flower, bluebonnets, to celebrate the 1986 Texas' Sesquicentennial; financially stressed farmers needed another crop with which to diversify production; the bluebonnet fits into the classification of a low-input crop to produce which also returns plant nutrients to the soil to enhance future production; and the state's most publicly - visible, productive Agricultural Extension horticultural programs was available. The ingredient of unselfish determination was definitely an important factor. Everyone involved freely shared information and resources without any monetary demands or expectations for reimbursement. It seems that the concept of doing what had never been done; of creating that which some said could never be; and of dreaming the impossible dream was enough payment for the dedicated participants. Since the beginning, development of unusual bluebonnet color types has been the main driving force of this project. All of the other developments such as bluebonnet transplants; rapidly germinating, chemically scarified seed; commercial seed production; early-blooming plant types; etc. were all necessary ingredients needed to find and proliferate the colors needed-- blue, white and red--to plant the initial floral goal -- a Texas' state flag. The blue bluebonnet was, of course, already available. The only thing needed to be done with the blue was to enhance seed germination and formulate a commercial production technique which would insure a dependable seed supply. 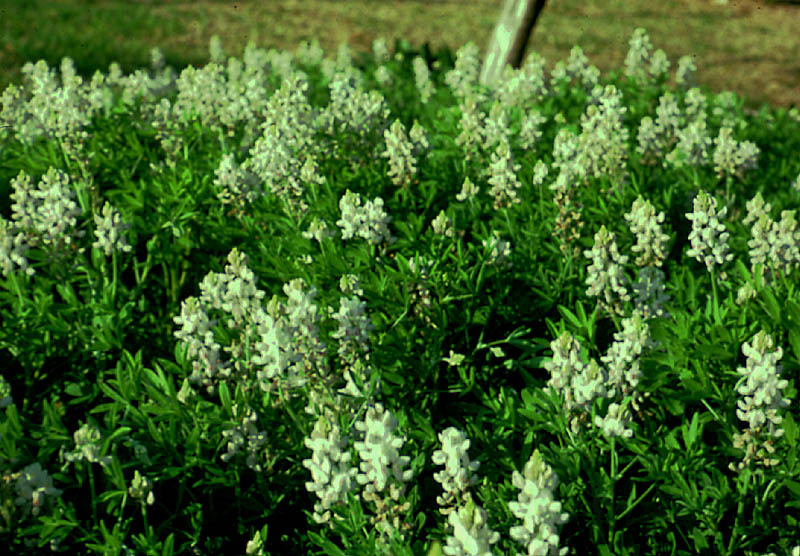 The white strain of bluebonnet was somewhat common yet still unknown to the majority of Texans. Photographers always treasure the opportunity to find an albino nestled among the blues to enhance their artistic attempts. Consequently many people knew where white populations existed. When attempting to locate and gather seed of the white bluebonnet population, a very wise criterion was used. People were told only to collect seed from whites in large groups so that natural selection had already bred some of the blue out of the white. 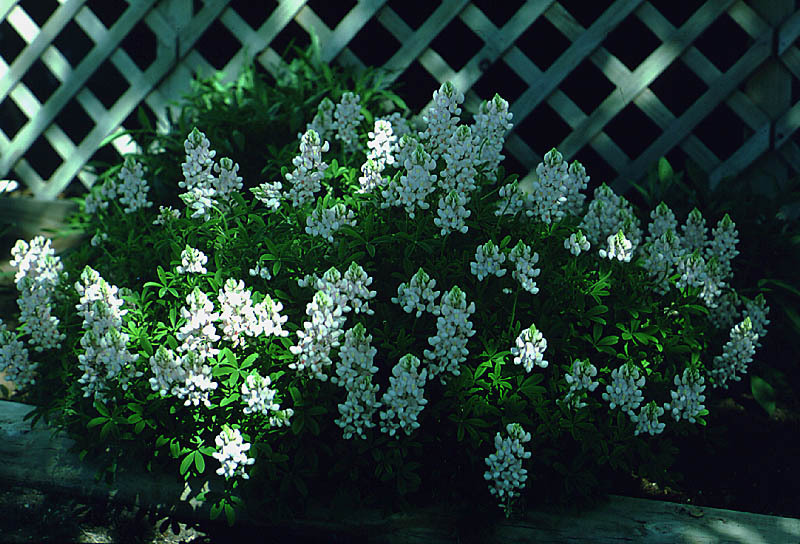 The genetics of the whites were not clearly understood and we did not know exactly how many white blooming plants would be produced when planting seed collected from white bluebonnets. Many skeptics indicated that it would take years to successfully complete the purification of a white strain. The first season that white seed were collected and planted, 75 percent of the plants produced bloomed white the following year. That which some had said to be "impossible" had been accomplished in only two years. However, gardeners did not like the white color so that strain has been lost due to lack of interest and sales. 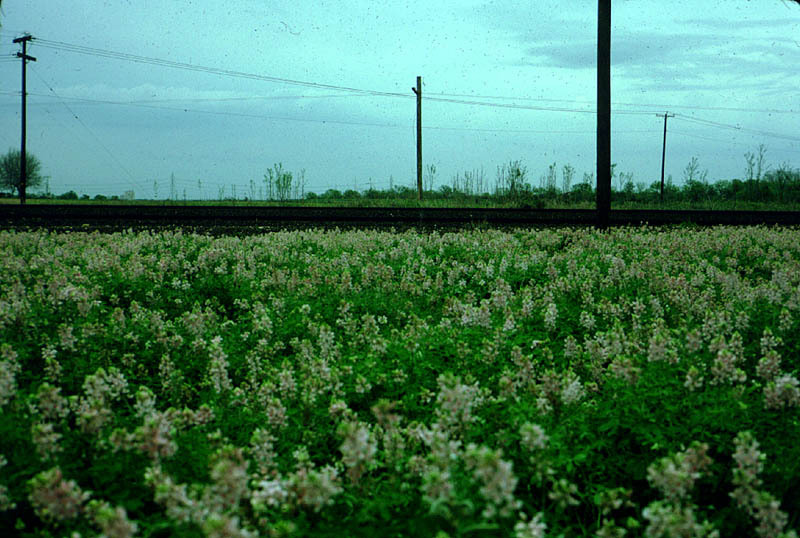 The common blue bluebonnet needed only some cultural problems solved to ready it for marketing and production. The white strain offered a significant challenge but nothing insurmountable. But the development of a pink-colored bluebonnet was thought to be a practically impossible task.Even Carroll Abbott considered locating, purification and proliferation of the pink, and eventually red, bluebonnet a bit far-fetched. 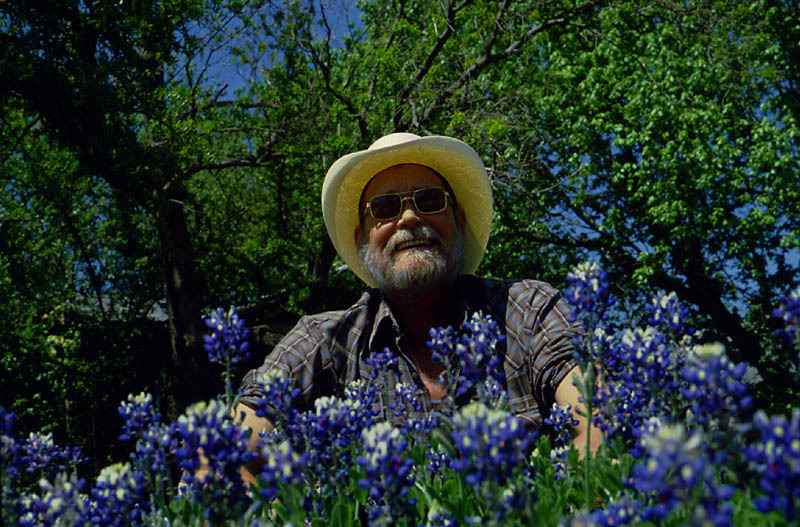 This great plantsman had roamed the fields of Texas for years and had only seen three pink-blooming bluebonnet plants. Some of his native plant friends had never seen even one! But Abbott underestimated the thousands of searching eyes of wildflower enthusiasts that scoured every nook and crevice looking for the rarest of the rare and the effective production agriculture group which can proliferate many from a very few. In searching for the pink color variant, the same criterion used to successfully locate and purify the white strain was used. People were told only to collect seed from pinks in large groups so that natural selection would have already bred some of the blue out of the pinks. However, the pinks indeed were so rare that only four locations throughout the entire state were reported. Oddly enough, the "mother-load" of pinks was found within the city limits of San Antonio. Shortly after some seed were gathered, the road maintenance crews graded the area and destroyed the entire naturally-occurring population. We have saved one of Nature's rarest gifts -- the pink bluebonnet. Once a gene source was located we were on the way to adding pink and shades thereof to the bluebonnet color spectrum. 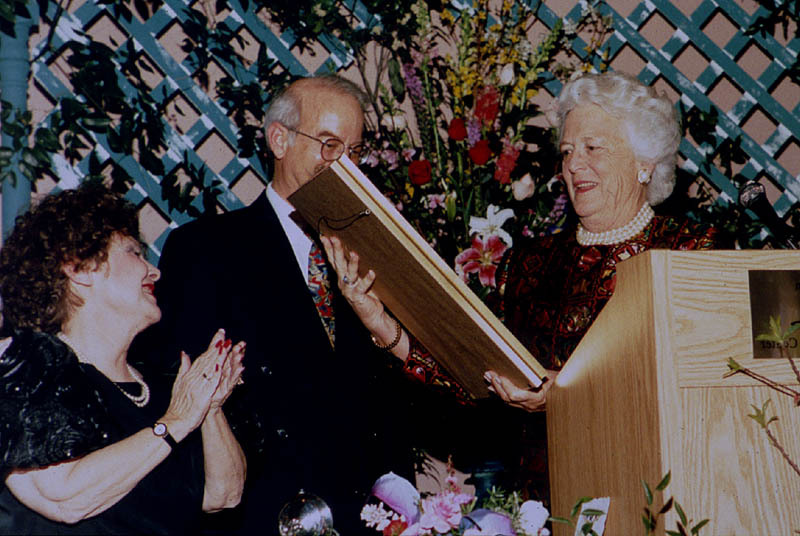 Like Carroll Abbott, his pink bluebonnet namesake is full of surprises. The pink bluebonnet strain is providing wonderful "bonus" color hues which none of us initially imagined. The purification of a pink bluebonnet strain has lead to the creation of an entirely new color variant which will make the bluebonnet without a doubt the most revered state flower in history to a certain segment of the Texas population. Geneticists indicate that with every color in nature exists hues or shades of that color. 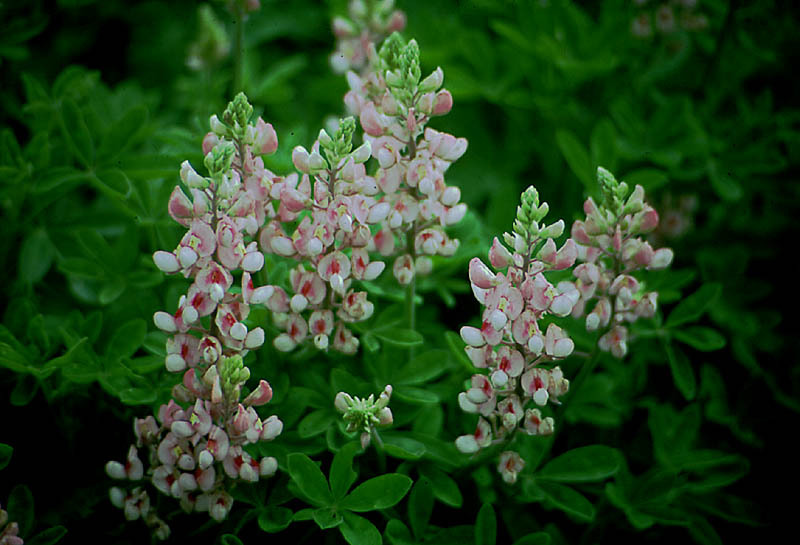 For instance, with the pink bluebonnet should exist a series of shades of darker pink and, eventually, red. That has happened. 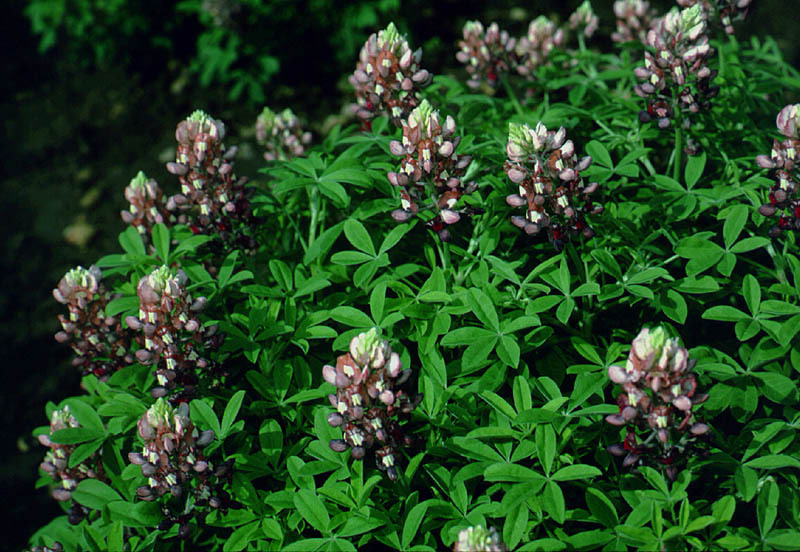 Within two years, a truly red bluebonnet from seed and transplant will be available. Another spectrum of colors should exist when blue color shades are mixed with pink or red to create purplish or, in another commonly used color description in Texas, maroon. Isn't there a group of Texans who might slightly be interested in developing a maroon- colored state flower? Sounds like an Aggie deal to me! 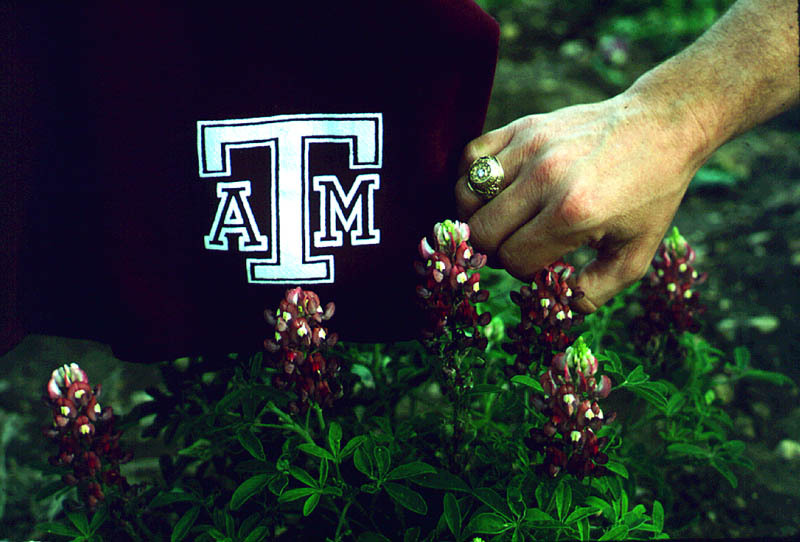 The Aggie maroon bluebonnet does exist as well as a beautiful purple. The spectacular and significant thing about the occurrence of these color types is that this is THE FIRST TIME IN THE HISTORY OF THE WORLD that these color variants have been seen and existed. Because there has never been quantities of pink bluebonnets, red or maroon colors would not have been able to be derived. For horticulturists and lovers of the Texas state flower, this is a significant historical happening -- we have seen what no person has seen before! Once a color has been selected, isolated and seed proliferated, the REAL problem is maintenance of the seed supply. Some of the original farmers who grew the colored bluebonnets are no longer interested because of lack of sufficient and reliable profit. If the supplier quits, the seed of the color variants expires within 3-5 years. This has been the case with the maroon and red; no one wanted to increase the seed. An encouraging thing happened this year. 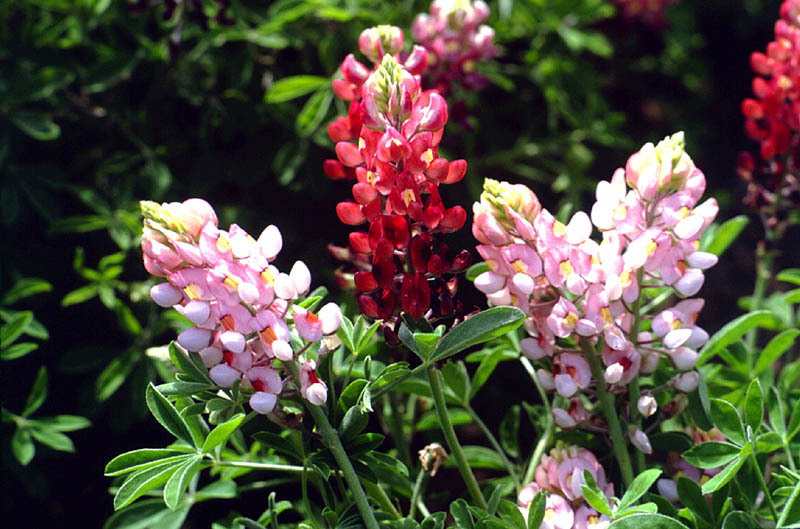 John Thomas of Wildseed, Inc. (originally in Eagle Lake, Texas and now in Fredericksburg as well) has consented to grow the maroon, red and Abbott Pink bluebonnets. 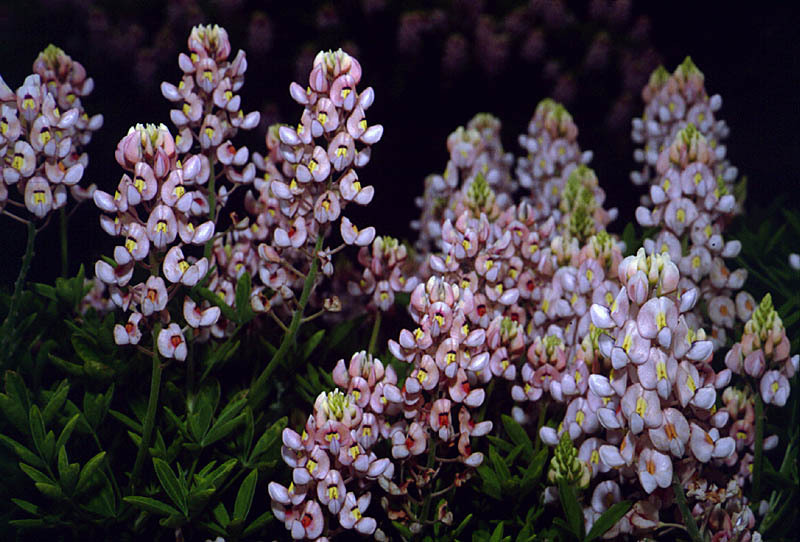 http://aggie-horticulture.tamu.edu/cemap/lupines/maroon.jpeg and will probably be named 'Grant's Maroon' in honor of D. Greg Grant who was the first to recognize the potential of the Lupinus harvardii as a cutflower. 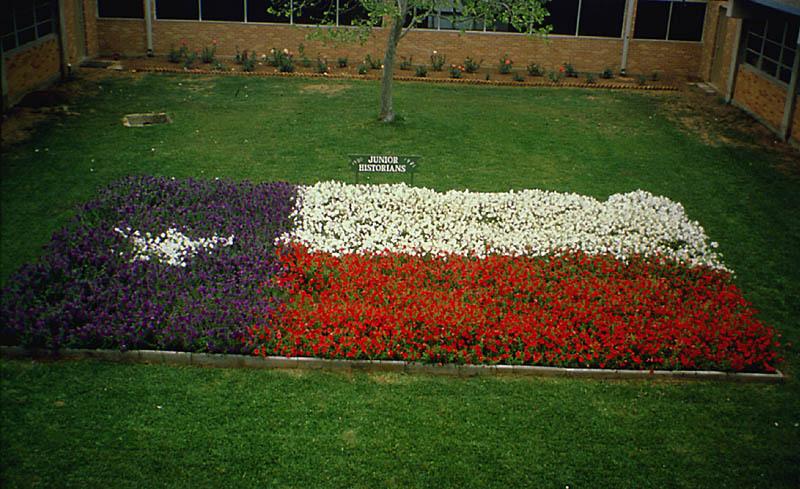 http://agnews.tamu.edu/stories/HORT/longstem.htm and who first identified and isolated the original color selection in a planting of pink bluebonnets which eventually produced the maroon and red bluebonnets. 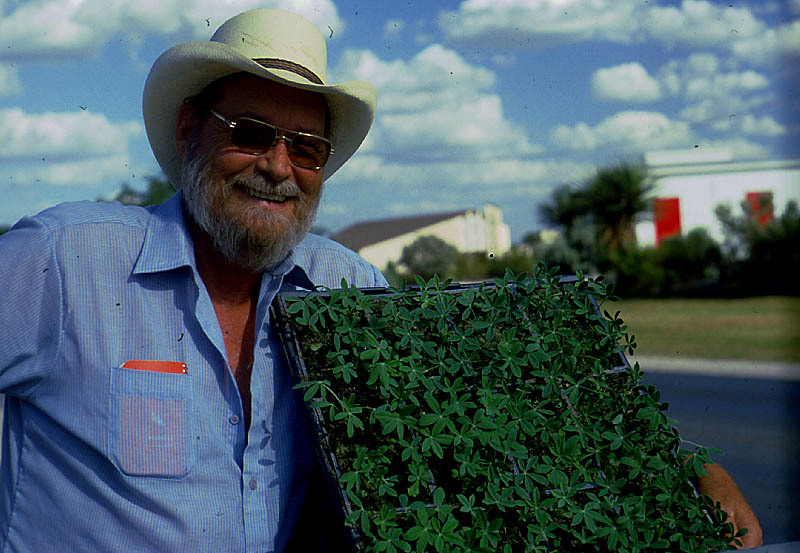 The red bluebonnet will be named'Henry's Red' in honor of the late Mr. Henry Verstraeten, a San Antonio vegetable grower from Belgium, who, in his small retirement garden, grew and insured the seed increase of EVERY Lupinus texensis color variant (white, Barbara Bush Lavender, Abbott Pink, maroon and red) which has ever been marketed. One would think that a project such this would receive nothing but praise and support. But there are many people who have an attitude of: "I don't want to do anything but I sure don't want anyone else doing anything either!" Another group of people just want "to leave things as they have always been". It is from these types that come such criticisms as: "If the bluebonnet flowers are white, it shouldn't be called a bluebonnet--it's a white bonnet." "Why change the color of the state flower?" To these types of confused souls I will answer once again. First of all, the state flower is the bluebonnet, written as one word. 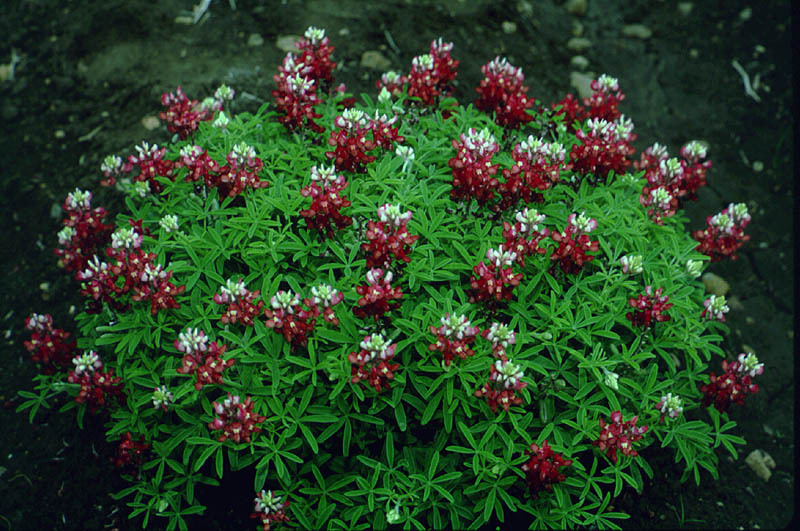 A color variant of that flower would be properly described with the name of that color plus the name of the flower of which it is a color--consequently, white bluebonnet, pink bluebonnet, maroon bluebonnet is correct. Secondly, the colors of the state flower which have existed for as long as bluebonnets have bloomed HAVE NOT been changed. Additional colors other than the more common blue, which already existed in Nature and have for hundreds of years, were isolated and purified. No plant breeding or genetic manipulation of bluebonnets has been done except by God. Any complaints or criticisms concerning bluebonnet color strains and their attractiveness should be directed to Him--not to me. 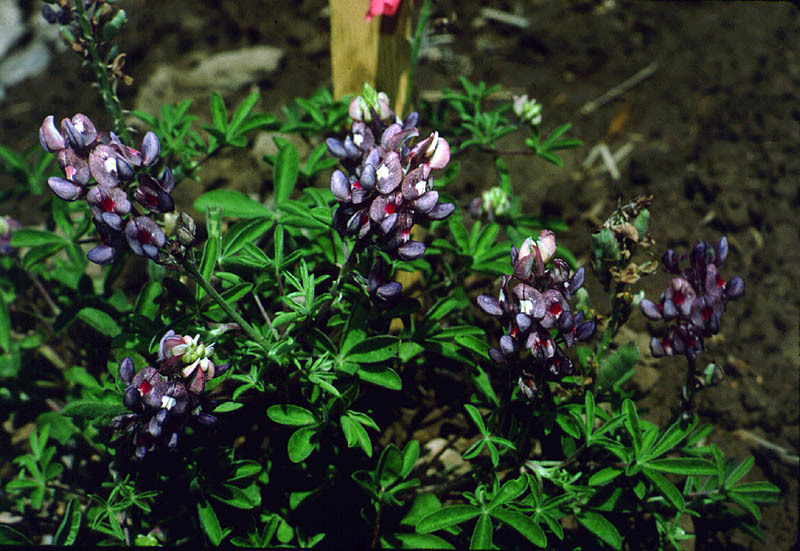 The maroon color is naturally occurring from the pink strain; if a Texas Longhorn burnt-orange bluebonnet appears, it will be proliferated. All of these colors have been developed to enhance the Texas state flower. ALL of these colors are legally the state flower. Now for the first time in history, color patterns of the state flower can be planted and enjoyed. What other flower comes only in one color? Shouldn't the Texas state flower be the best that it can be? The Lord for a sign did send the rainbow. But man will forget when the bow is dry. What will remind him to look to the sky? That beyond the blue sky heaven is hidden? To remind us of Jesus, who for sin -- blood was shed. And covered them up with the rainbow blue. And the whole world admired the flower God gave us. To show us the rainbow, hidden by God's hand.